This enjoyable trivia book will have you afraid to stop reading—who knows what phobias have practical, evolutionary reasons? Fear is a natural part of human evolution, a way to keep safe from predators and health risks, but taken to an extreme, it can also lead to often-crippling phobias. In Scared Stiff, Sara Latta takes an interesting and entertaining look at fifty phobias, using history, trivia, and anecdotes to explain each. Latta packs her book with fascinating tidbits about each of the chosen phobias. The writing is informative while staying conversational and successfully toes the line of being fun to read without making fun of those who live with these sometimes-unconventional phobias. Latta also includes an opening chapter explaining the concept (what differentiates mere fear or superstition from a phobia, what does and does not qualify as a phobia), and she closes the book with practical explanations of effective techniques for treating phobias and a list of resources for those who might be living with one. Though aimed primarily at teens, Scared Stiff features enough lesser-known and surprising information to work for adult readers as well. By choosing fifty, Latta is able to mix some of the better-known and more easily explainable fears with others that are fascinatingly strange. When discussing examples like the fear of heights (acrophobia), fear of darkness (nyctophobia), or fear of snakes (ophidiophobia), the author explains how these phobias grow out of useful fears with evolutionary bases. For example, research shows that acrophobes “may rely on vision more than other people to keep their balance,” and Latta explains that this can make them feel as if their balance is more off than it actually is. The author also posits explanations for the less obvious causes of phobias—such as fear of clowns (coulrophobia) growing out of a sense that something is out of order between their fake expressions and their possible intentions, or the fear of being buried alive (taphophobia) owing in part to the reality that before modern medical science, it was not uncommon for sick people who seemed dead to be buried prematurely. Fears of things as diverse as buttons, zombies, and urination—and even the fear of phobias themselves—make appearances in this book. 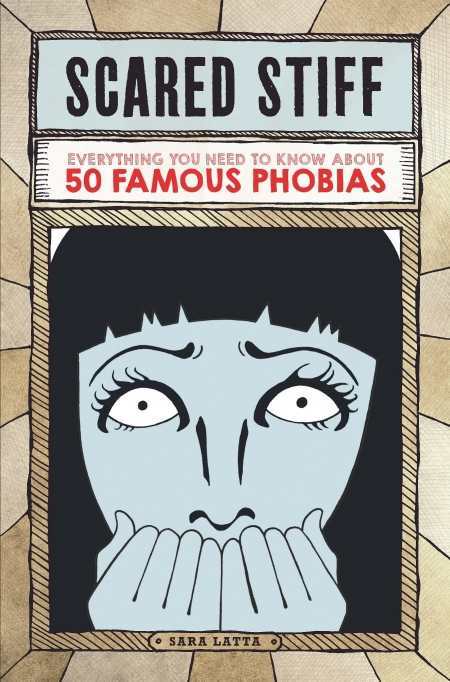 The “famous phobic” examples included throughout the book are a source of interesting trivia and also show how one bad experience can prompt a person to develop a phobia. Hans Christian Anderson became pyrophobic after a friend died in a boat fire, and actor Robert Pattinson developed a fear of clowns as a child after watching one burn to death in a circus accident. Latta also uses examples of how the movie industry has played on common fears in crafting horror movies, how superstitions taught to children eventually became phobias, and how certain phobias feed on one another. In all, this is a thorough and enjoyable read that will leave readers with a much better understanding of what people fear and why.